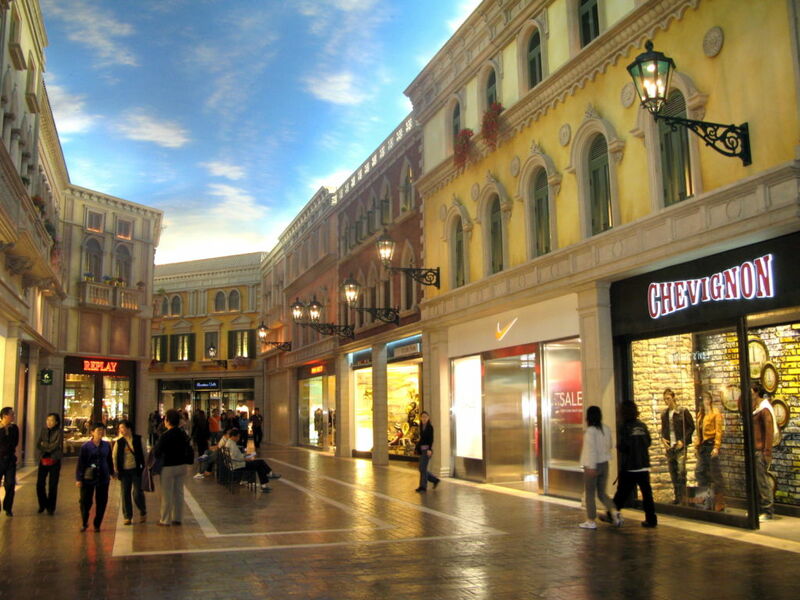 The Shoppes at Venetian Macao offers a diverse range of luxury duty-free shopping in Macau under a forever blue false sky roof on the water of the Grand Canal. 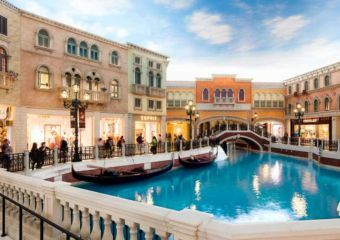 The setting is romantic and family friendly, with both designer and high-street brands from Miu Miu to New Balance, Bvlgary to NARs and many more. 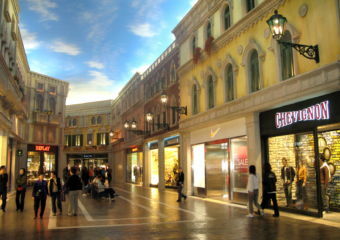 Being in The Venetian Macau, a luxury casino resort in Macau, it is in very close proximity to other amenities such as a large dining hall, the hotel and various entertainment. They offer a free shuttle bus transport service to and from the casino.